Commuters now have more options when paying for their trip following the successful trial of contactless payments on light rail and ferries. 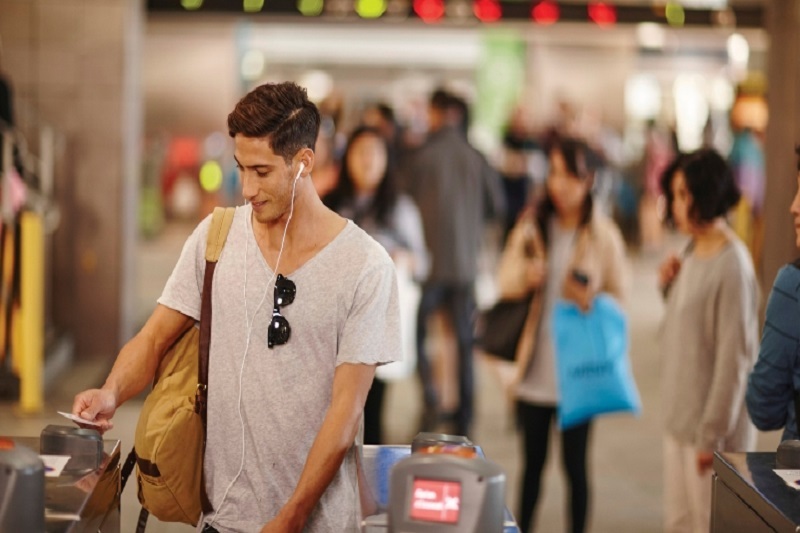 According to a recent report, contactless transport payments are now available for standard (peak) Adult Opal fares across the entire Sydney Trains network and on any NSW Train Link Opal service. Several modes of payments can now be used to tap on at train station Opal readers aside from the original Opal card. These forms include mobile wallets on smartphones, tablets and wearable devices linked to an American Express, Master card or Visa card. There is no more need to have an Opal card or wait in a ticket machine queue in order to ride. Although users of the contactless payments will still be entitled to the Opal daily, weekly and Sunday travel caps, the weekly travel discount, concessions and the transfer discount will only be available to the users of the Opal card. Opal will continue to be an option for payment and will provide frequent travellers the most savings, as well as serving students, concession holders and senior Opal Gold card holders. Minister for Transport and Infrastructure Andrew Constance said that the contactless payments will make purchasing higher one-off fares a thing of the past for the occasional train customers and visitors to NSW. Choice and convenience are the goals of integrating the contactless transport payments into the Opal ticketing system. It is about giving the customers another option for accessing public transport and the ability to pay as they go without ever having to wait in a queue at the station. Being able to pay an Adult fare using cards and devices most people already carry makes public transport more accessible. This is particularly convenient for tourists and locals who do not use public transport often enough to need an Opal card. It also offers a handy backup option if the Opal card is forgotten or lost. The contactless transport payment trial will continue to run through 2018 with the expansion to the bus network expected for mid-2019. Moreover, Electronic Funds Transfer at Point of Sale (EFTPOS) is also being considered for inclusion in the trial. Avoid card clash and tap on with one card or device only. Tapping the whole wallet or the phone case on the reader may charge other cards as well, even those that the rider did not intend to use for payment. Tap on and tap off using the same card or device. Using different card for tapping on and tapping off, may cost the user the default (maximum) fare on each of the card or device used on the reader. Tap on and Tap off every trip. Not doing so may be a cause for being fined for fare evasion. Everyone must have their own card (or device). A card or device that was just used cannot be passed on to someone else to pay for a second fare. However, joint account holders can each tap on to pay for one fare per card or device per trip. Charge batteries before travel. Authorised officers can ask to see the ticket at any time. If the user has paid using a digital device and cannot produce the ticket upon inspection, user may be fined up to A$ 550. No contactless Child/Youth, Gold Senior/Pensioner or Concession fares are available. Contactless payment users will be charged with the standard (peak) Adult Opal fare.